Two leaders of the British Jewish community clashed over Israeli Prime Minister Benjamin Netanyahu's speech to the US Congress on Tuesday. In an exchange of emails, Jewish Board of Deputies vice-president Jonathan Arkush and the organization's treasurer Laurence Brass clashed over the Israeli Prime Minister’s controversial speech to the United States Congress. Brass recently announced he will step down from his post in May. When declaring his resignation, he said he had been “bursting” to criticize Israeli policy for many years. Arkush will be standing for the presidency of the Jewish Board of Deputies in the next election. The rift began when Brass retweeted a message from lawyer Adam Cannon that read: “Netanyahu boards plane for Washington: ‘I go as an emissary of the entire Jewish people’… you are not my emissary,” the Jewish Chronicle reports. 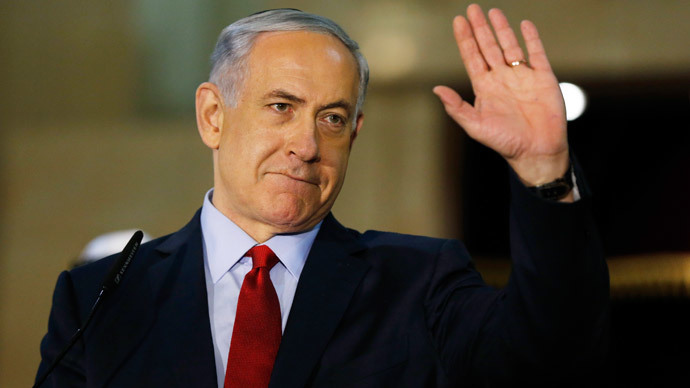 Arkush responded: “Netanyahu is going to the USA as the democratically elected prime minister of Israel … He is warning of Iran's nuclear determination which poses a mortal threat to Israel (and the West).